Opera is for everyone—and so is Seattle Opera’s 2017/18 season! There’s a new bilingual performance for elementary-school students, new performance venues such as Georgetown Steam Plant, a new mainstage collaboration with ACT Theatre and Seattle Symphony leaders, and even an outdoor performance offered free of charge. Regardless of background or socioeconomic status, this season offers ways for a broad audience to be able to experience opera; it’s an open invitation for the Pacific Northwest. In addition to five mainstage operas featuring the work of beloved composers like Verdi, Mozart, and Puccini, the company hopes to keep building an audience that’s diverse in age, race, and more following the success of As One (November, 2016). This story of a transgender woman performed at Washington Hall helped establish new community partners such as Pride Foundation, and also brought more young people and newcomers through the door compared to the company’s performances at McCaw Hall. (For example, the As One overall audience was 59 percent people under 50, versus only 27 percent people under 50 for a given mainstage performance). The effort to reach new viewers continues in 2017 at venues throughout Seattle, including Georgetown Steam Plant, where a war-torn, interfaith love story called The Combat (Monteverdi) will be performed. An American Dream (by composer Jack Perla and librettist Jessica Murphy Moo) returns following its 2015 premiere, this time in a new Seattle location. Our annual Frost Fest on Feb. 4, 2017 at Cornish Playhouse, introduces opera to young audiences with Cinderella en España, a story in English and Spanish; this 45-minute opera also plays Kirkland Performing Arts Center on March 19, and will tour schools statewide. Finally, in July 2017, Seattleites can bring a picnic if they choose while enjoying Opera Outside, offered free of charge. Seattle Opera kicks off its mainstage Madame Butterfly (Puccini), Aug. 5-19, 2017. Photo by Neil Mackenzie. The mainstage season at McCaw Hall kicks off with Puccini’s famous Madame Butterfly, Aug. 5-19, 2017. Stage director Kate Cherry’s “sublime, visually fantastic, must-see” show (stuff.co.nz) stars Lianna Haroutounian and Alexia Voulgaridou who each make company debuts as Cio-Cio-San. 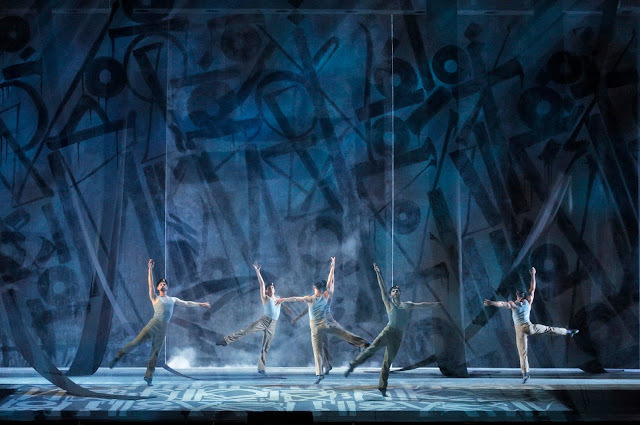 The performance also includes Seattle debuts for Alexey Dolgov and Dominick Chenes (Pinkerton); and the return of Weston Hurt (Sharpless), Renée Rapier (Suzuki), and Maestro Carlo Montanaro. This tragic tale of a reckless American naval officer and a trusting geisha he purchased as a temporary bride includes some of Puccini’s most famous music such as the radiant “Flower Duet,” Butterfly’s poignant arias, and a rapturous love song for the ages. Inspired by true events, Butterfly is an often painful reminder of racial and cultural injustice found throughout America’s history. Thus, An American Dream, a story depicting the incarceration of Japanese Americans, will provide an essential second perspective for Butterfly audiences a month later in September, 2017. 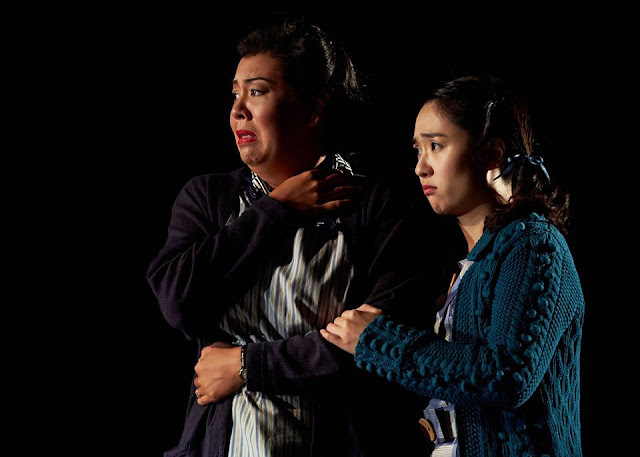 By showing these pieces in tandem, Seattle Opera seeks to emphasize Puccini’s intentional criticism of American attitudes toward Japan; such attitudes would later scar our own Pacific Northwest history during World War II. Seattle Opera present The Barber of Seville (Rossini), Oct. 14-28, 2017. Image courtesy of Opera Queensland. Steve Henry, Photographer. The mainstage season continues with another new-to-Seattle production: The Barber of Seville (Rossini), Oct. 14-28, 2017. 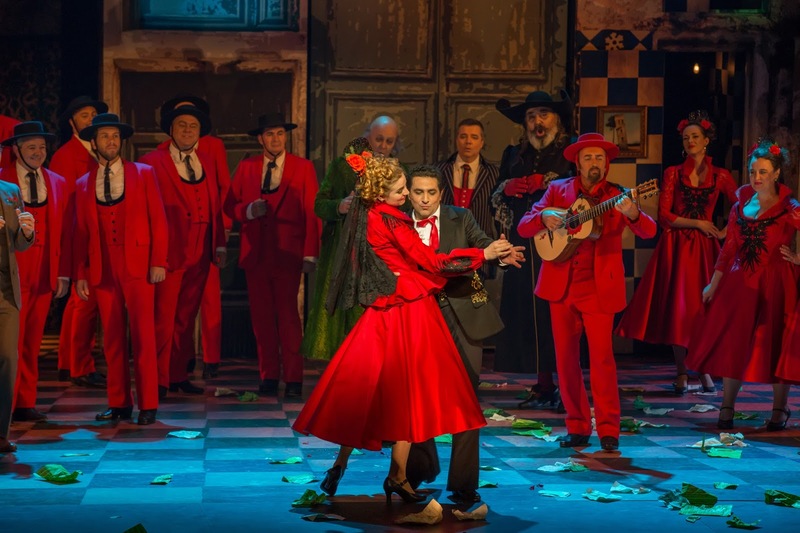 Stage Director Lindy Hume returns following smash hit The Wicked Adventures of Count Ory (2016) to delight audiences with colorful sets and costumes inspired by the seductive and playful spirit of southern Spain. This “riotously funny” (The Australian) prequel to The Marriage of Figaro includes the company debut of soprano Sofia Fomina (Rosina). Also featured are Matthew Grills and Andrew Owens (Almaviva); John Moore and Will Liverman (Figaro); Kevin Glavin (Dr. Bartolo); Daniel Sumegi (Basilio); and Margaret Gawrysiak (Berta). Maestro Giacomo Sagripanti returns to conduct. In the New Year, Così fan tutte (Mozart) returns Jan. 13-27, 2018. Last seen in 2006, Jonathan Miller’s acclaimed modern-dress production may be “the funniest and most dramatically successful show Seattle Opera has ever staged” (The Seattle Times). This account of two buddies who test the faithfulness of their fiancées includes company debuts by Marina Costa-Jackson, Marjukka Tepponen (Fiordiligi); Ben Bliss, Tuomas Katajala (Ferrando); Ginger Costa-Jackson (Dorabella); Michael Adams (Guglielmo); and Maestro Paul Daniel. Returning artists include Hanna Hipp (Dorabella); Craig Verm (Guglielmo); Laura Tatulescu (Despina); and Kevin Burdette (Don Alfonso). New to Seattle Opera is Hector Berlioz’s Beatrice and Benedict—a unique Seattle Opera premiere created through artistic collaborations. Seattle Symphony Orchestra Maestro Ludovic Morlot and ACT Artistic Director John Langs make debuts as conductor and stage director, respectively for this performance, which runs Feb. 24-March 10, 2018. Based on Much Ado About Nothing, this work will kick off a city-wide event, Seattle Celebrates Shakespeare. "This is a unique and unprecedented opportunity for three different arts organizations to create something fresh and engaging,” said Langs, who, working with Aidan Lang and Seattle Opera Dramaturg Jonathan Dean, will make these English-language performances faithful to Shakespeare. "It’s a beautiful story in an epic setting at a time when the world needs a bittersweet romance and joy." 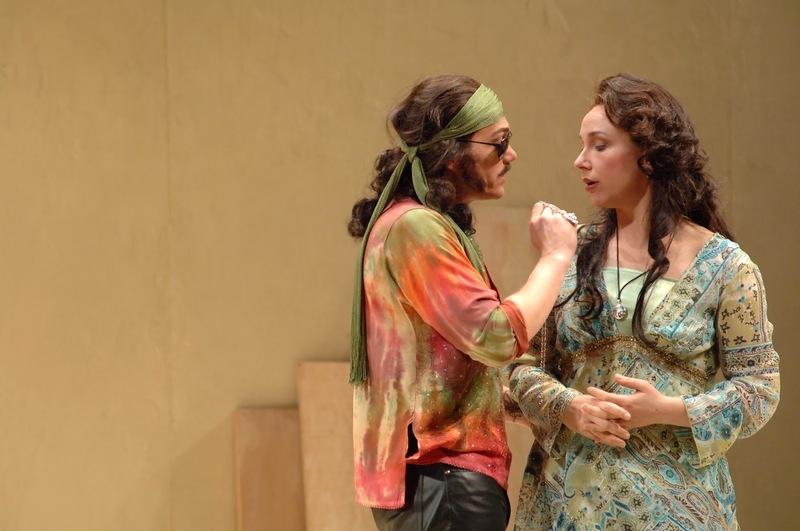 In the role of Beatrice, Daniela Mack makes her company debut, sharing the role with Hanna Hipp. Alek Shrader and Andrew Owens return to sing Benedict. The performance also includes Laura Tatulescu (Hero), Avery Amereau (Ursule), Kevin Burdette (Somarone), Craig Verm (Claudio) and Daniel Sumegi (Don Pedro). The mainstage season concludes with Verdi’s magnificent Aida. Acclaimed creative team Francesca Zambello and Michael Yeargan oversee a visually imposing production with hieroglyphic projections by noted graffiti artist RETNA and evocative choreography by in-demand visionary Jessica Lang. This high-stakes love triangle between an Ethiopian princess, a military commander, and the Pharaoh’s formidable daughter includes performances by Leah Crocetto in her company debut as Aida—a role shared with Alexandra LoBianco. Additional company debuts include Milijana Nikolic and Elena Gabouri as Amneris; as well as Brian Jagde and David Pomeroy as Radames. Returning artists include Gordon Hawkins, Alfred Walker (Amonasro); Daniel Sumegi (Ramfis); and Maestro John Fiore. Seattle Opera Ticket Information: Subscriptions on sale now. Five-opera renewal and new subscription ticket prices: $225 to 3,915. * Seattle Opera Ticket Office: 206.389.7676 or 800.426.1619. Online orders: seattleopera.org/subscribe2017. Mainstage performances take place at Marion Oliver McCaw Hall, 321 Mercer Street. Evening performances begin at 7:30 p.m., with Sunday matinees at 2:00 p.m. *Prices include a $3-per-ticket facility fee and (in some locations) a preferred seating donation. Young professionals ages 21-39 who join BRAVO! and students under 18 save 50 percent on tickets.